As advertised on the Difficult Airway Society website!!!! 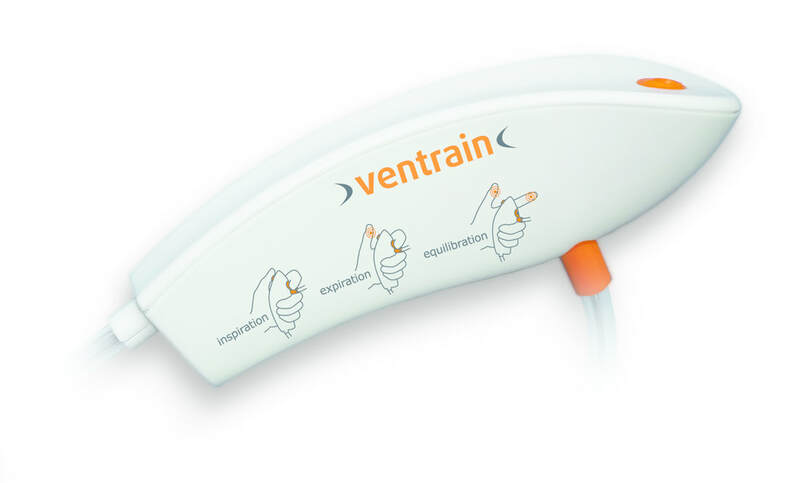 Ventinova’s revolutionary ventilation technique, - Full Respiratory Control (FCV) - , is unique in controlling the inspiration as well as the expiration phase during artificial ventilation of a patient. This is established by generating a continuous flow into the patient’s lungs during inspiration as well as a continuous flow during expiration. The expiratory flow is controlled by creating a resistance against flow in the respiratory circuit and then overcoming that resistance, in a controlled manner by suctioning*. The continuous flow, either into or out of the lungs has no notable ventilation pauses and is programmed to result in increases and decreases in intratracheal pressures which are as linear as possible over time, in order to minimize energy dissipation by the lungs. *Please note that suction as such does not lead to negative pulmonary pressures as the suction stops when the set PEEP is reached. 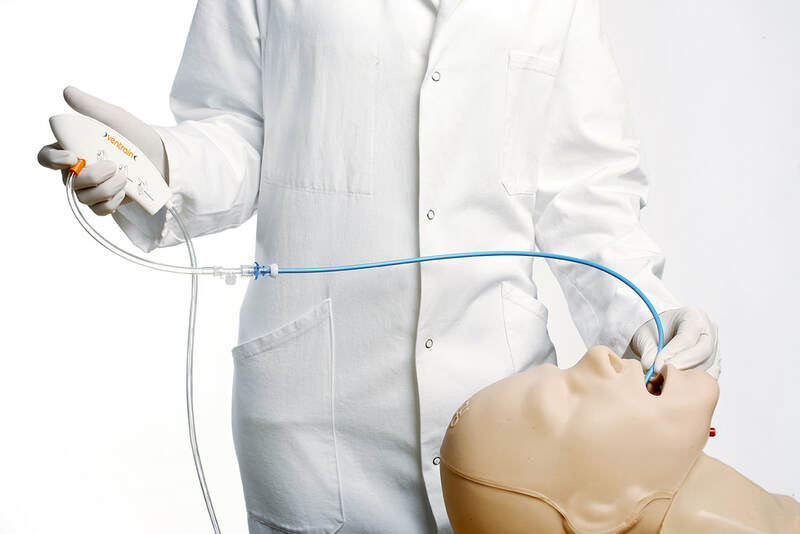 FCV enables ventilation through small bore, high-resistance tubes and airway catheters. Depending on length and application area, advised inner diameters generally range between 1.6 mm and 3.0 mm.Therefore, it saves lives in Cannot Intubate, Cannot Oxygenate (CICO) situations and it provides numerous new possibilities for surgical treatment. Especially during ENT or oral surgery: the surgeon has a clear sight and a hygienic and spacious surgical site. FCV ventilation is based on creating almost linear increases and decreases in intratracheal pressures. As a result, the mean airway pressure will, in general, be higher in comparison to conventional large bore Volume Controlled Ventilation or Pressure Controlled Ventilation at same PEEP and Peak pressures. A higher mean airway pressure enables bronchioli and alveoli to be more open during ventilation facilitating oxygen uptake in the blood. Moreover, the continuous gas flow enhances gas mixture in the lungs which facilitates gas exchange. Overall, FCV results in highly efficient ventilation.